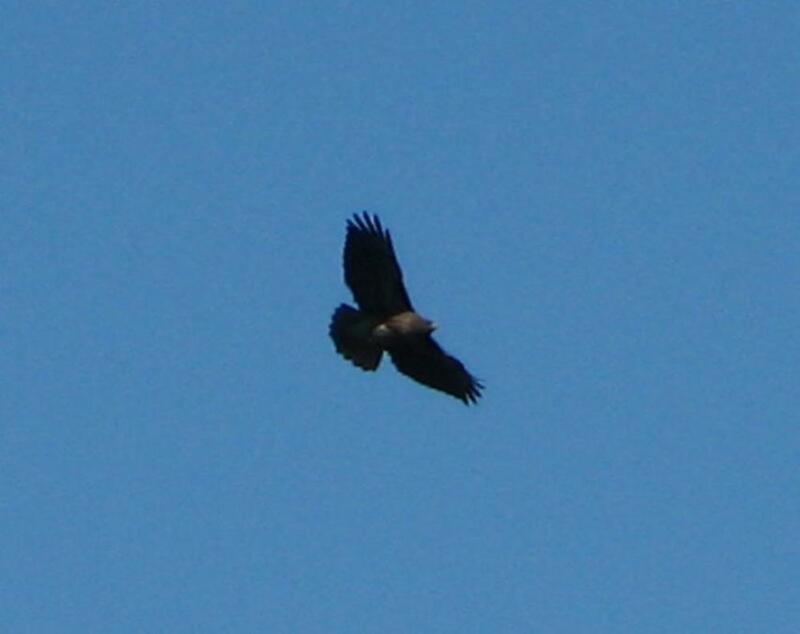 following pictures that I took. 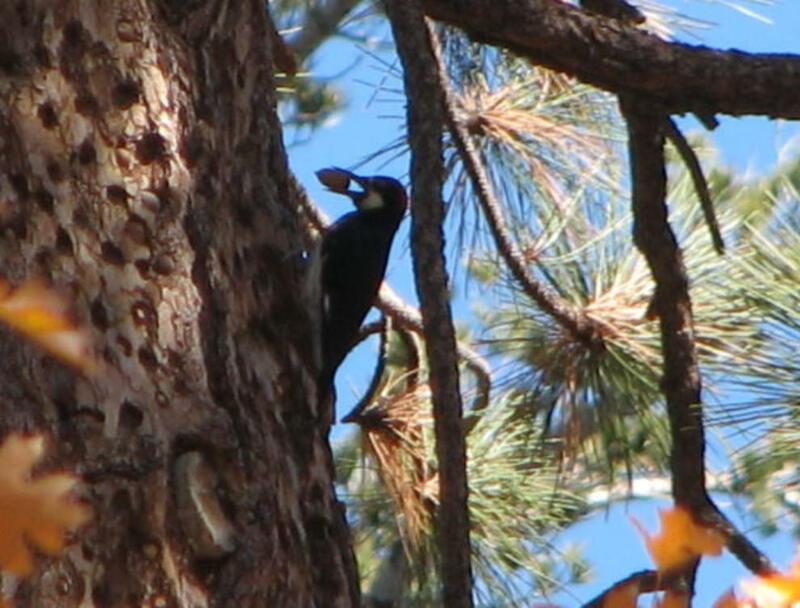 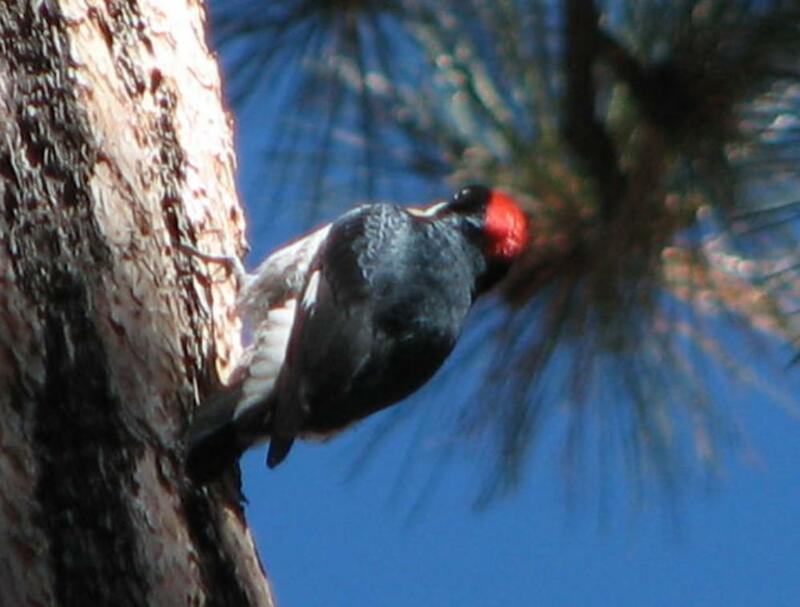 An acorn woodpecker with an acorn in its beak is working on this tree. 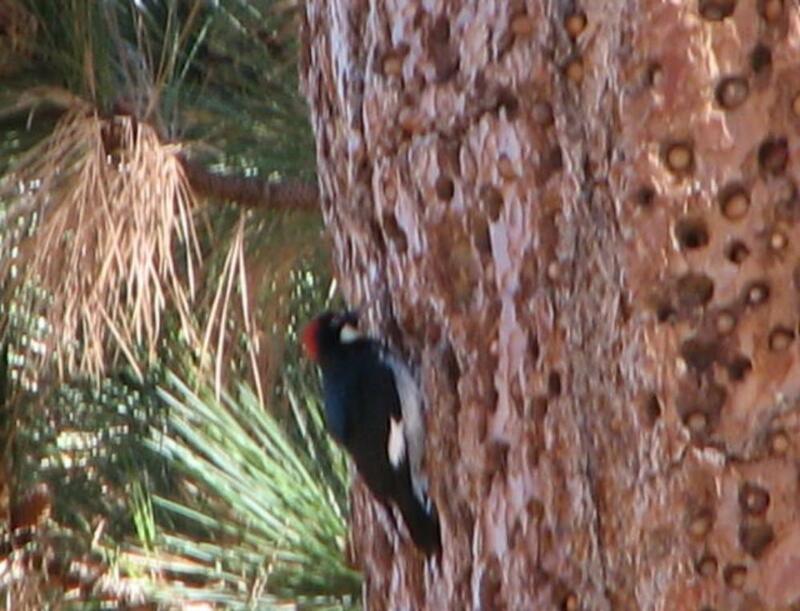 There are many deep holes with acorns inside these holes on the tree barks in this area near Jenks Lake. 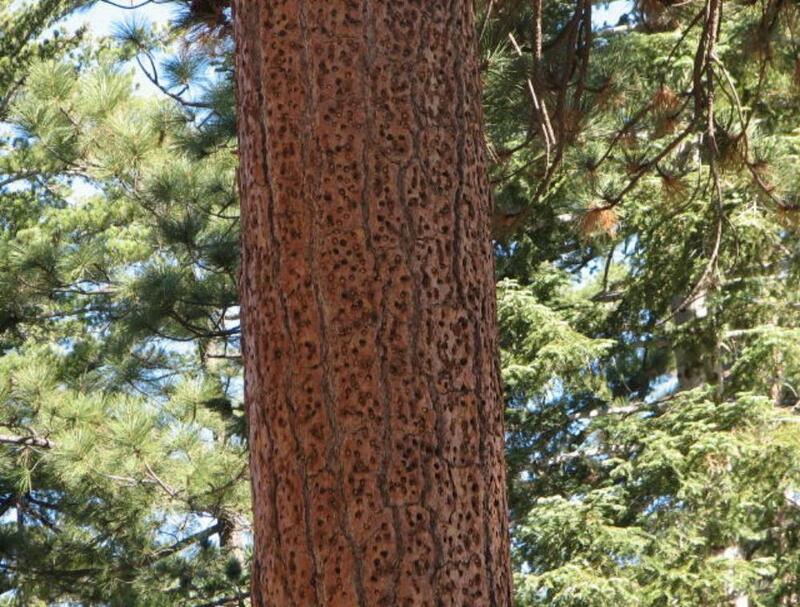 Another view of the tree with many holes and acorns on its barks. 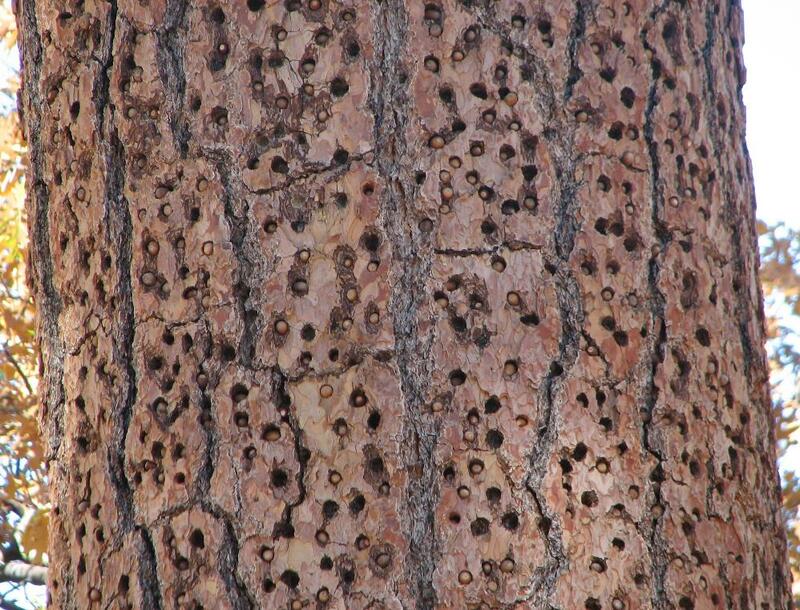 holes so that squirrels cannot steal these securely stored acorns from acorn woodpeckers. 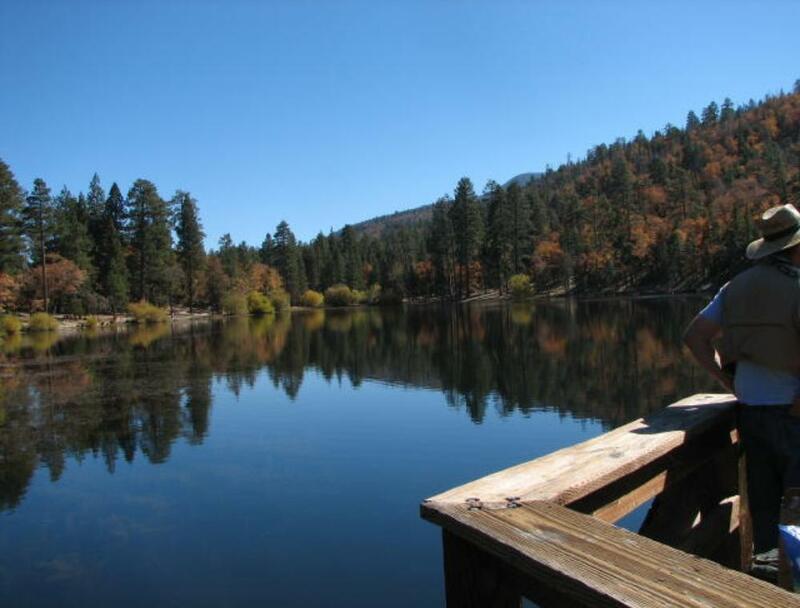 Complex in San Bernardino National Forest in southern California. 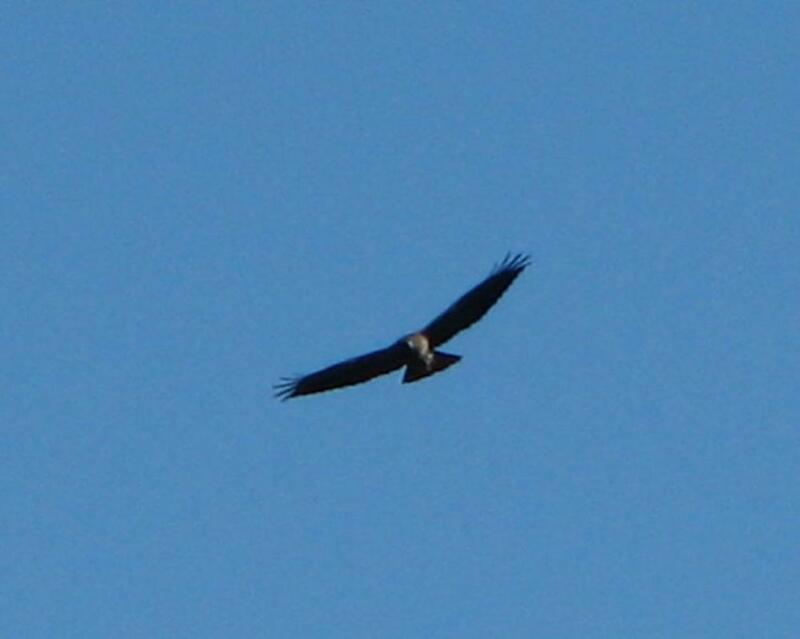 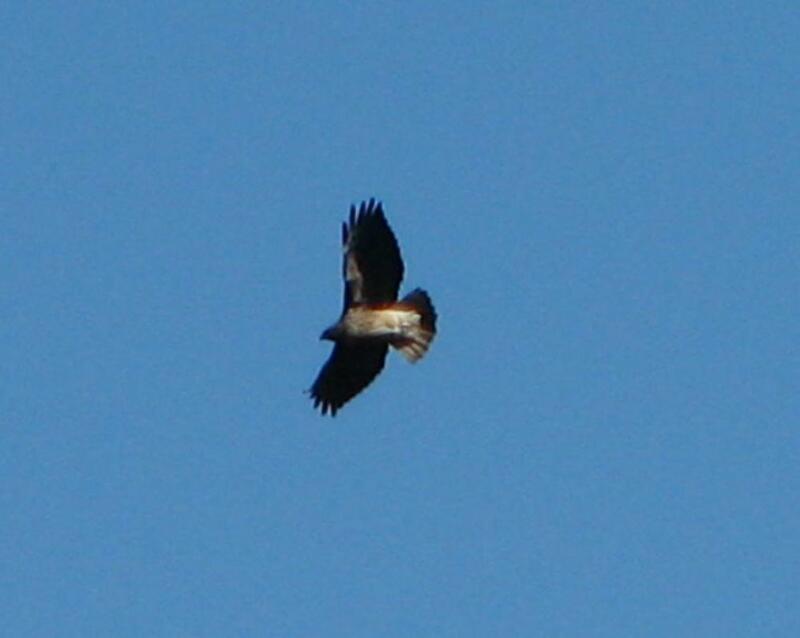 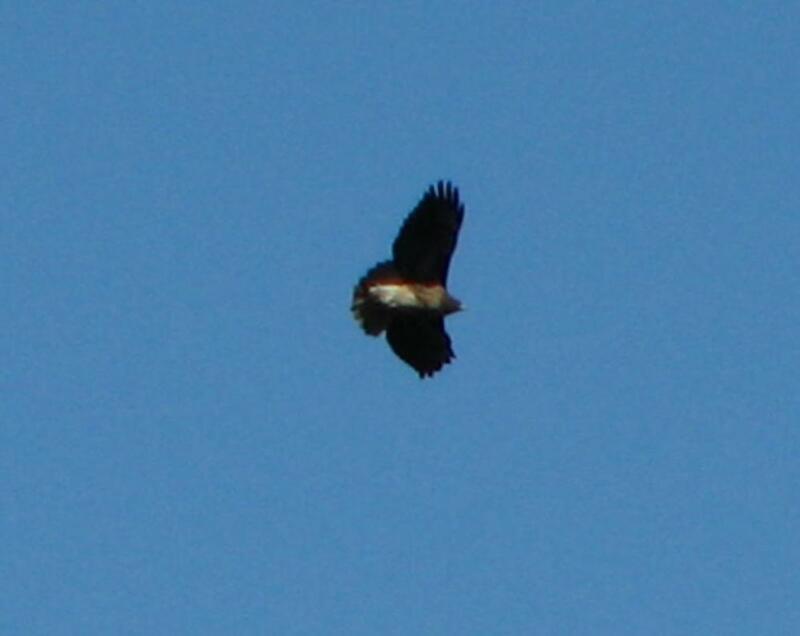 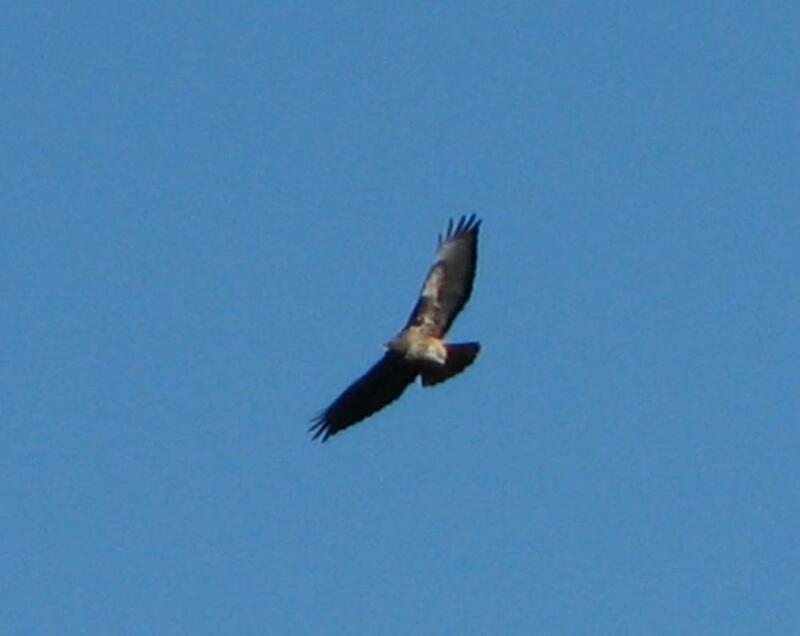 I am not sure if this big bird is a hawk or an eagle.